Today, April the 24:th, should have been one of the most beautiful person I’ve ever had the opportunity to meet, Patrik ”Dotér” Odén, 30:th birthday. Unfortunately he tragically left this world, way to soon, in June 21st 2011. Anyone who met him got struck by his aura of pure love. 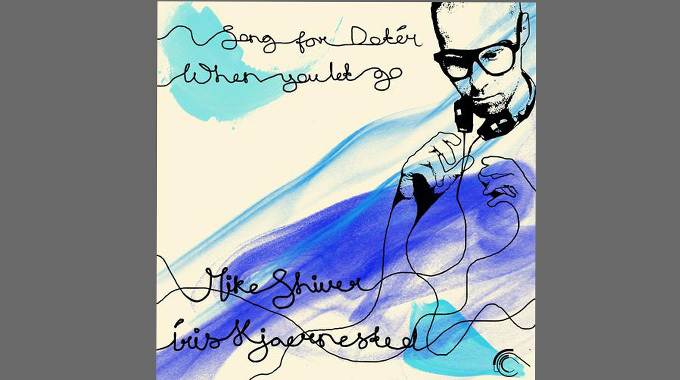 To honor him, his dear and close friend Mike Shiver wrote a tribute song together with the Swedish composer and singer-songwriter Iris Kjaernersted. That Tuesday, Tuesday the 21st of June 2011, almost a year ago, is forever etched in loving memory of a great, inspiring friend who tragically past away, leaving all of us down here on earth way too early! The colorful Patrik ”Doter” Odén was a truly beloved trance and EDM enthusiast, who soon became a very dear and close friend to Mike. To honor Patrik, his family and all of his friends, Mike started writing a tribute song together with Swedish composer/singer-songwriter Iris Kjaernested. Once the original acoustic version was ready, it was basically impossible to resist giving the song the clubby touch that was so in-tune with Patrik’s nature and fantastic taste in music. Now the Club mixes are here and on top of that Swedish upcomer Johan Malmgren and in-house Moldavian star PM Attitude were asked to deliver their takes on ”Song For Doter”. In spirit of this tribute, the lable Captured Music also decided that a part of the sales will be directly donated to a trustworthy cancer foundation! Head over to Beatport to buy this wonderful tune. We miss you so much, Patrik. One Response to " New Releases: Song for Dotér "